Hats may have dropped out of high street fashion over the last 50 years, but they have never fallen out of style. Hats Matter is the creation of Victoria Hansen and her hat cohort Sarah McIvor. Initially just making hats for family and friends, they have since found a wider demand for their wearable art. As Hats Matter will be showing their wares at the SEEArt Fair in Tunbridge Wells in June, we took the opportunity to put a few questions to this creative pair of milliners. What got you started on hats? Sarah: On a whim, I had some holiday to take from work, I enrolled on a short course at the V&A making small silk head pieces many years ago and it grew from there. Victoria: I trained in Fashion and Textiles at Medway College of Art and worked for various designers including Zandra Rhodes and Yuki – millinery crept back in 2007 at the suggestion of an Australian Milliner Johanna Guerin. As with most creative pursuits, making interesting and beautiful headgear is as much to do with artistry as with technique, what do you like most about the process, the design or the creating, and why? Victoria: Creating; because the design often comes when the fabrics and materials start to dictate direction. It’s about the end result rather than following a strict design. Sarah: I love messing around in my work room sometimes just letting the materials work and flow and seeing the result, but I also love meeting the clients, the majority of our work is bespoke so discussing the occasion, outfit etc and then designing is just as much fun. 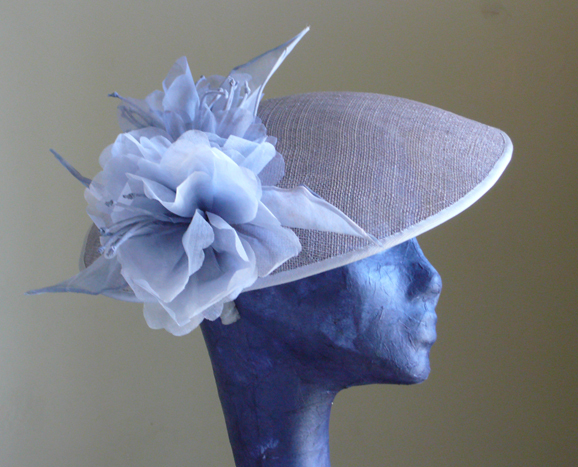 Are you influenced by other milliners or fashion designers? Who or what inspires you? Victoria: When I worked at Zandra Rhodes we made accessories from the workshop remnants, fabrics, beads etc, so now I look for anything interesting, large or small, that can be translated into a hat. 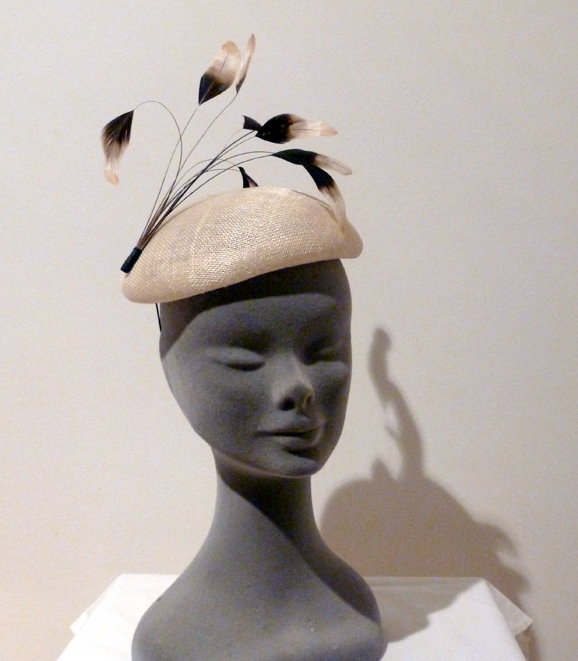 I am also a big fan of milliner Jane Corbett. Sarah: I love a bit of vintage, the days when you didn’t even dare go to the local shop without your hat and gloves! Elsa Schiaparelli style and elegance that never fades. How did the two of you come to collaborate, and how did Hats Matter get started? Sarah/Victoria: We met at Kensington and Chelsea College on a millinery course and became friends – our collaboration works as we complement each other in our abilities; we both have a strong work ethic plus it’s good to have someone to bounce ideas off. Victoria: The name Hats Matter came from my young nephew a few years ago when he was insisting I call what I did “something”. He was about 9 or 10 at the time. He said I should call it Hats Matter – because they do. Out of the mouths of babes…! Does Hats Matter have an objective, and what does the future hold? Sarah/Victoria: Our objective is to make The Hat the full stop to any outfit. The future holds more of the same – creating wearable art. Hats Matter will be at SEEArt Fair on Thursday 25th June 11am-4pm for Coffee, Cake & Art; all profits go to Ellenor x (formerly chYps) the nominated charity.